Raymond Lovett (Wongaibon/Ngiyampaa) is an Associate Professor and leader of the Aboriginal and Torres Strait Islander health program at the National Centre for Epidemiology and Population Health, Research School of Population Health, The Australian National University. Ray is a social epidemiologist with extensive experience in health services research, public health policy development and health program evaluation. He is a founding member of the Indigenous Data Sovereignty group in Australia (Maiam Nayri Wingara) and is a member of the International Indigenous Data Sovereignty Interest group at the Research Data Alliance. Professor of Sociology and Pro Vice-Chancellor of Aboriginal Research and Leadership at the University of Tasmania. Professor Maggie Walter is a Palawa woman and sociologist whose research is focused on race relations, inequality, research methods and methodologies. She is the inaugural Pro Vice-Chancellor of Aboriginal Research and Leadership at the University of Tasmania. Professor Walter is passionate about improving the position of Aboriginal people in Australian society and changing the dynamics around race relations. Professor Walter is widely published in her fields of research. She is the editor and co-author of the best-selling Social Research Methods and co-author of Inequality in Australia: Discourses, Realities and Directions and Indigenous Statistics: a quantitative methodology. 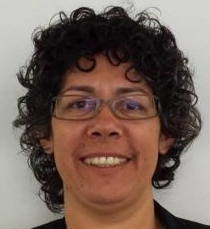 Vanessa Lee (Yupungathi and Meriam people, Cape York and the Torres Strait), is a social epidemiologist and senior academic within the discipline of Behavioural and Social Sciences in the Faculty of Health Sciences at University of Sydney. Vanessa’s overarching focus addresses the social issues of the burden of disease to break the cycle of inequality that potentially lead to suicide in First Nations communities, and to strengthen the health and wellness of Aboriginal and Torres Strait Islander cultural identity, particularly for women. She is a founding member of the Indigenous Data Sovereignty group in Australia - Maiam Nayri Wingara.